In 2013 we installed a suite of 3 Downstream Defenders as a pollution prevention method, cleaning surface water before it enters the river. This week has seen a few periods of extreme rain downfall and Olly braved the weather to look at the effect on the river. As we know, rainwater is collected off our roads and channeled into the river by our surface water drains. Unfortunately with the rainwater goes all the other contaminants from the roads. This causes a first flush of pollution down the Wandle. 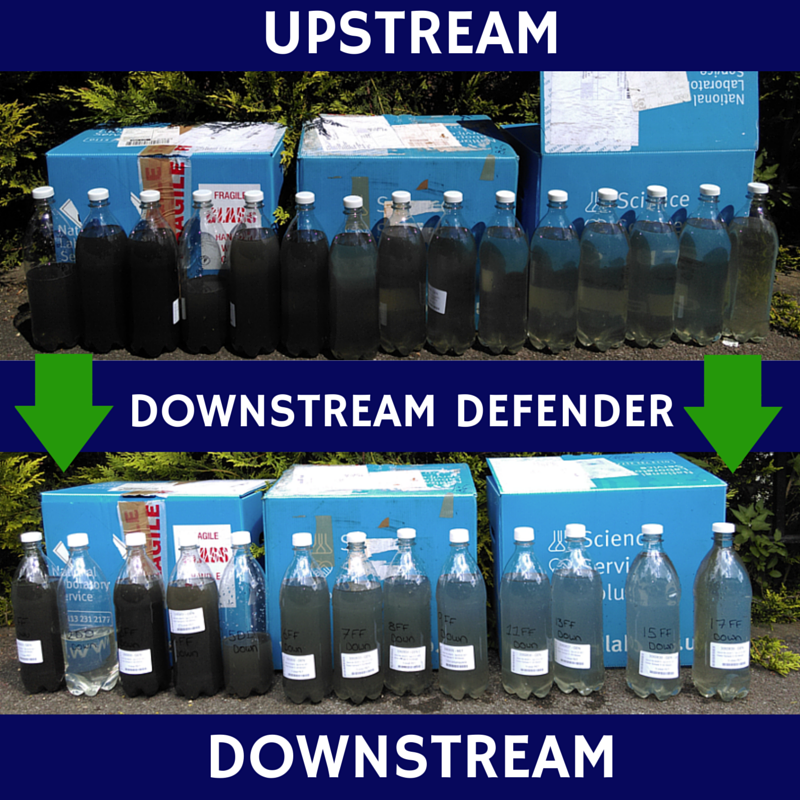 Our Downstream Defenders are designed to reduce the severity of this first flush by removing some of the worst of the pollutants before they enter the Wandle. Today we took samples of the water upstream of one of our Defenders (before) and downstream (after) to see what difference it is making to the water quality. The samples have been sent off to the lab and will not be back for a couple of months, but for now look at the difference in colour alone! 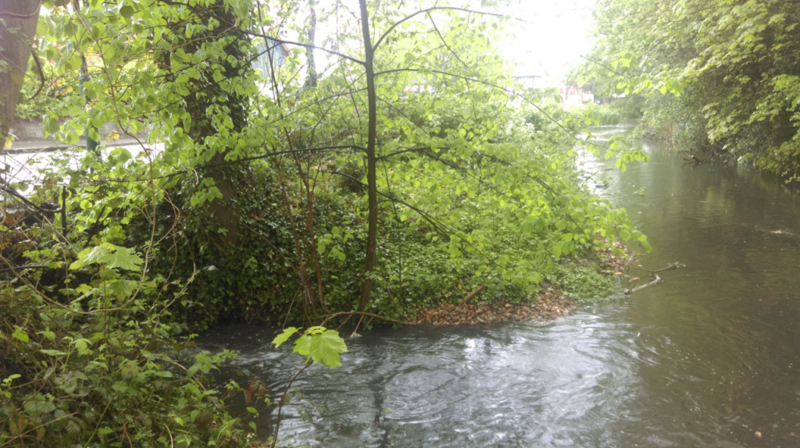 This entry was posted in Uncategorized and tagged Downstream Defender, Education, Environment Agency, Pollution, Pollution monitoring, River restoration, South East Rivers Trust, Wandle, Wandle Catchment Plan on May 7, 2015 by Polly.